Sensational Sabah takes you through all the major attractions of Sabah including the remote jungle lodge in the Danum valley, scuba diving around Sipadan, an overnight stay on Turtle Island and a visit to the world famous Sepilok Orangutan rehab centre. At the end of the tour, you get a chance to unwind in the pristine beaches of this region. Upon arrival in Kota Kinabalu, you’ll be met at the airport and transferred to your hotel. The day depends on when you arrive. Today you’ll be picked up from your hotel and driven through Dunsun villages and markets over the Crocker range on your way to the Education Centre and Mountain Gardens of Mt Kinabalu. This is home to various species of flowering Rhododendrons, carnivorous pitcher plants, orchids, ferns, oak trees and birds. Night temperature at the park is around 14°C - 25°C. If time and weather permits, take a guided walk on one of the trails in the cool surrounding mountain forests. Your day comprises of a visit to the Poring Hot Springs ranger station which lies 40 kms from Kinabalu Park HQ in the humid lowlands. The pools are a complete contrast to the cool environment of Kinabalu Park; steaming, sulphurous water is channelled into pools and there are tubs for visitors to relax their aching muscles. After visiting the pools you take a stroll along the high canopy walk way to see some of the diverse & amazing wildlife that are found in the tree tops of Borneo. You start the day by taking the boat from Sandakan to Selingan Island (Turtle Island) where you check into your accommodation. You’ll see the transplanting of eggs to hatchery and if you arrive on the right day you can see the baby turtles being released into the sea. 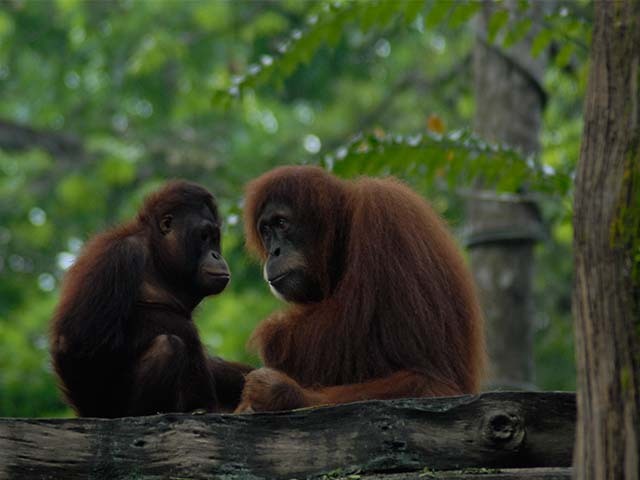 You will leave Selingan Island and head back to Sandakan where you’ll be transferred to Sepilok to watch the orangutans and learn about the serious threats they face. You then board a boat for a 2.5 hour boat ride along the coast, through the mangroves and into the Kinabatangan river heading for Sukau Rain Forest Lodge. Sepilok Orang-Utan Rehabilitation Centre was set up in 1964 to rehabilitate orphaned baby orangutans. Set amidst a lush 4,300-hectares of Kabili-Sepilok Forest, the Centre attracts tourists and researchers alike, giving them all the opportunity to watch the orangutans up close and in their natural habitat. Today you will be driven overland to the Gomantong Caves. Here you trek for 20 minutes through the rainforest to the cave entrance. Your guide will brief you on the caves fauna including bats, swift-lets and crabs and their contribution to maintaining a balanced ecology and the significance to the local economy. After the caves you are taken to Lahad Datu for lunch before driving 83 km through selectively logged forest, cocoa and soft-wood plantations to arrive at Danum Valley and the Borneo Rainforest Lodge. You have an option of going on an early morning bird walk before breakfast. 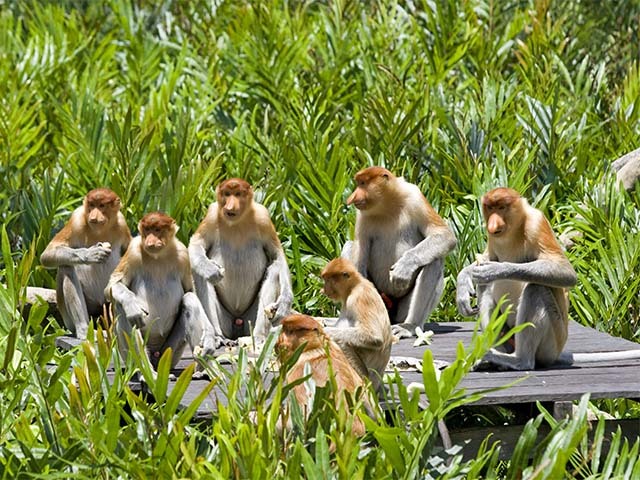 Afterwards you spend the day exploring the rich & diverse flora & fauna of Borneo before going up to an escarpment where ancient burial coffins lay. You can then trek to the waterfall for a refreshing dip in the rock pools before returning for lunch at the lodge. In the afternoon you can go on a rainforest canopy walkway. Once you’ve had breakfast you’ll be transferred to Kapalai Dive resort. You will be spending the next 4 days in this diver’s paradise. You can do 3 dives a day with the option of obtaining one of the limited dive permits for Sipadan. Your accommodation will be one of the 50 stilted apartments with a sundeck; from here you can view the reef below and the occasional turtle swimming by with uninterrupted views of the south china seas. Today you check out of Kapalai resort and transfer to Tawau airport for your flight over the jungles of Borneo back to Kota Kinabalu. When you arrive in Kota Kinabalu you will be met and transfered to Beringgis Beach Resort. 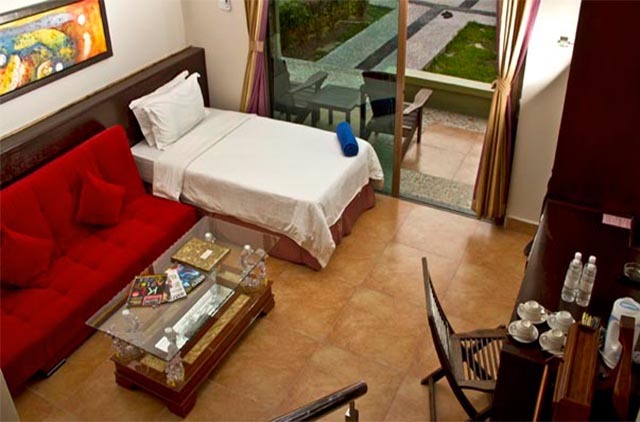 Spend three days here relaxing or indulging in many of the optional activities offered by the resort. At the end of your Malaysia Wildlife Tour, you’ll be picked up from your hotel and transferred to the airport for your return flight.